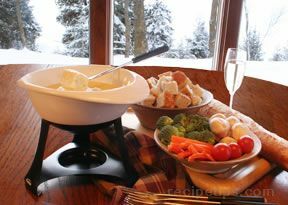 In a medium saucepan over medium heat, combine milk, white wine, Cheddar cheese, Monterey Jack cheese and cream cheese. Cook until melted, stirring frequently, about 10 minutes. Stir in green onions, spinach, dry mustard, cayenne pepper, garlic powder and pepper. Continue cooking until all ingredients are well blended, about 10 minutes. 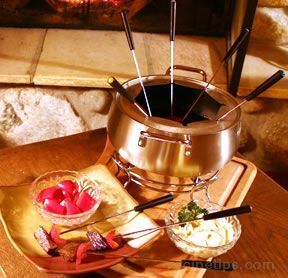 Transfer mixture to a double boiler or fondue pot to keep warm while serving. 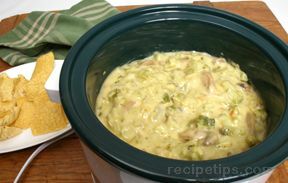 Serve with various bread cubes, meat cubes chunks of celery and carrots, and various other veggies.